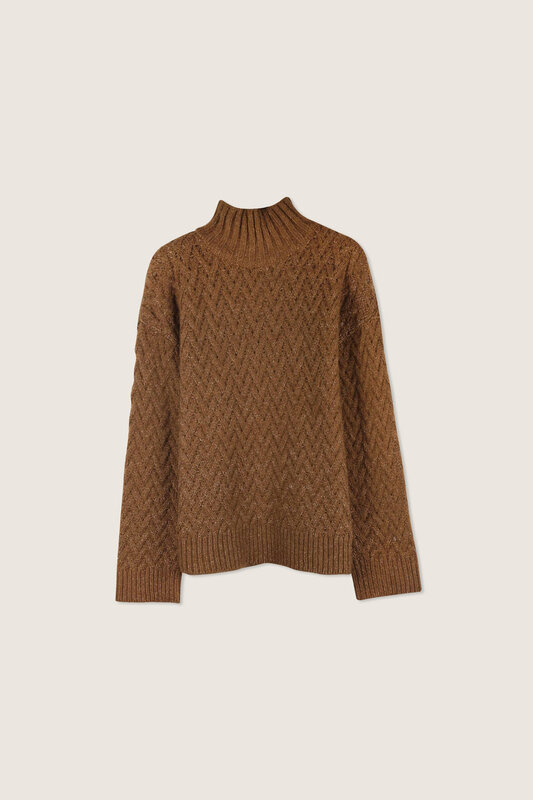 Knitted in a sumptuous wool blend, this textured mock-neck sweater is cut for an easy relaxed fit that doesn't look too oversized. 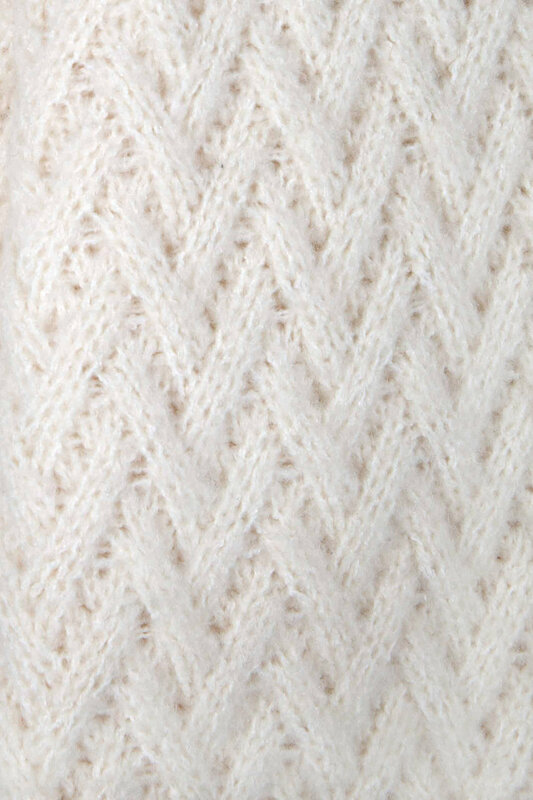 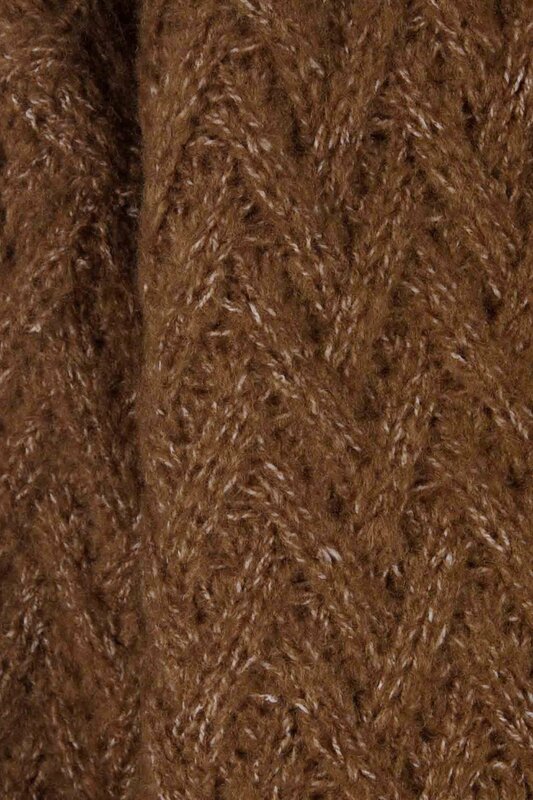 The ribbed detailing at the neck, cuffs and hem adds a nice contrast to the criss-cross knit pattern. 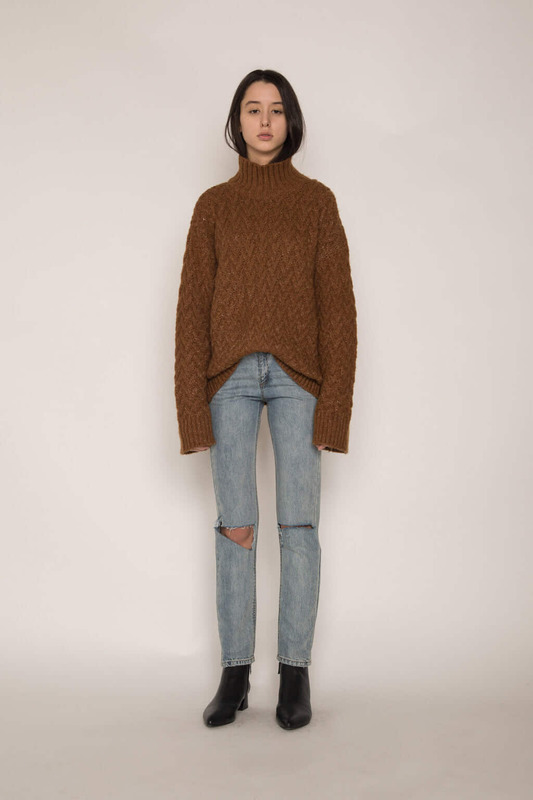 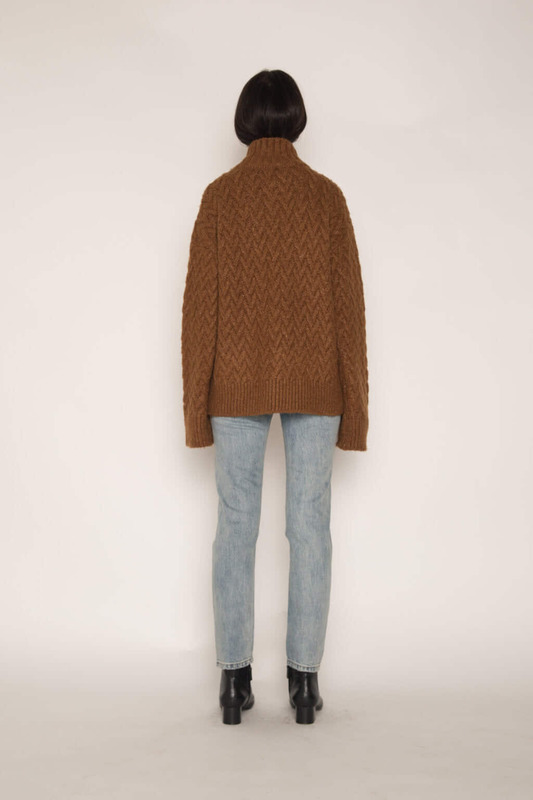 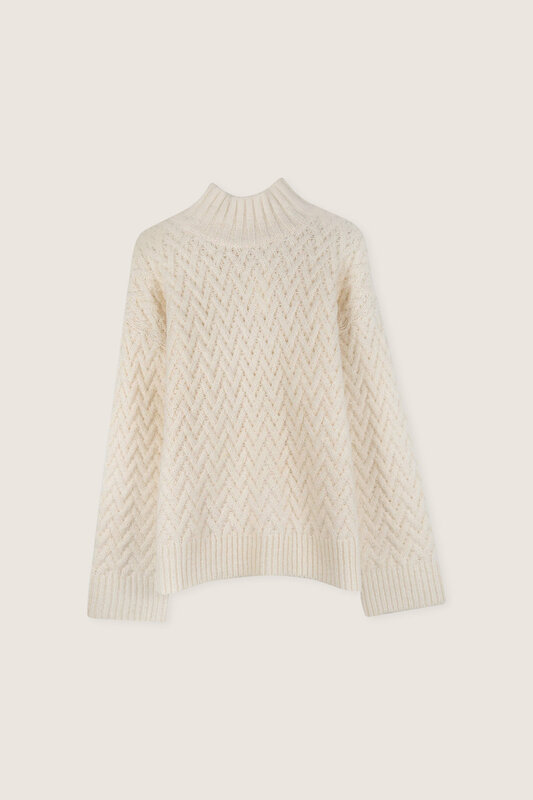 For a cozy and chic look, wear this sweater loosely tucked into a pair of wide leg trousers.